Google Chrome is Freeware Browser developed by Google. It first released for Microsoft’s Windows then later it ported for Linux, IOS, and Android. 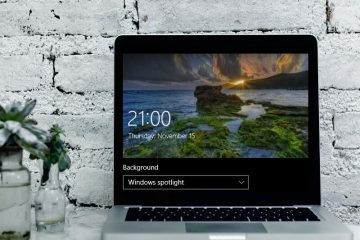 Half of Windows, User uses Chrome Web browser in their computer Instead of Internet Explorer, Because of It has the clean & minimal environment which helps all to browse safer, easier & faster than other Web Browser. Still, Microsoft is trying to replace Chrome web Browser by using Microsoft Edge Browser. But Windows user prefers Uninstalling Internet Explorer and make Chrome Default Browser. But It’s about half of Windows Users, Rest-Half, user, uses another web Browser, just Because of Chrome Browser started working slower after few days of uses. And they try to increase ram to make Chrome faster. Chrome Browser uses the high amount of RAM, and it’s never going to stop using. But RAM is the not only thing that makes Chrome slower, but there are also many things that make Chrome Slower. There are some simple hacks and few secret Chrome Settings, by using them you can make Chrome ten times faster. 1 How to make Chrome faster By doing some simple Hacks. 1.1 Access Chrome Secret / Experimental Settings to Make Chrome Faster. 1.1.1 Change Tiles Size and Increase RAM. 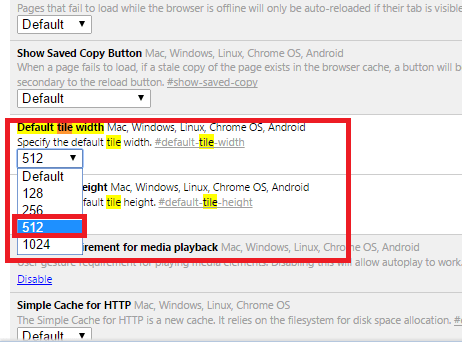 1.1.4 Enable Touch Events – Increase Chrome Performance in Touch Devices. 1.3 Disable Unwanted Plugins in Chrome. 1.5 Delete Cache and Old Prefetch Data to Make Chrome Faster. How to make Chrome faster By doing some simple Hacks. 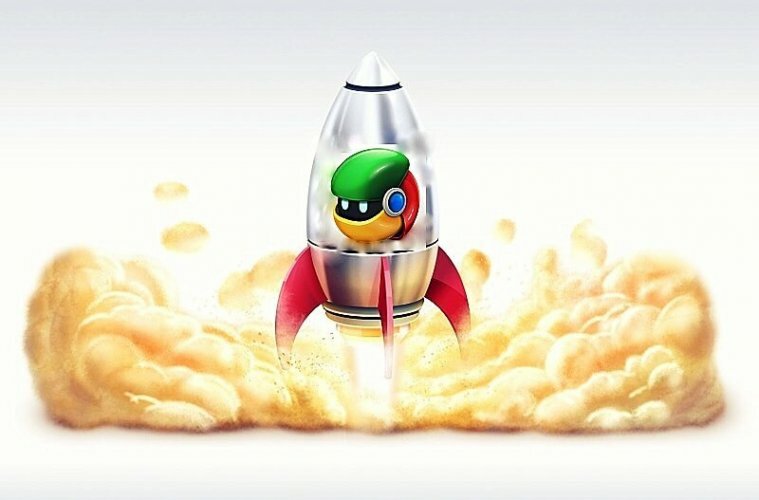 There are many things that we need to apply on Chrome Web Browser to make its Faster. Am going to write all methods in this article that I know. Access Chrome Secret / Experimental Settings to Make Chrome Faster. The standard settings that you can find in Right SideBar aren’t only Settings you have in Chrome Web Browser. 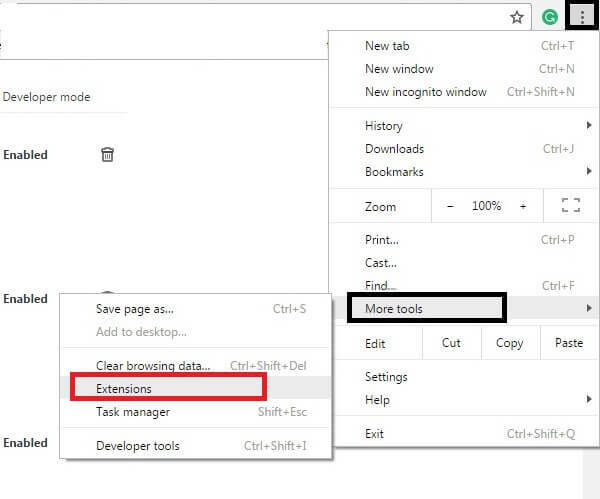 There are some hidden, but secret settings available in Chrome Web Browser that helps you in do modifications in Chrome. Why are these Experimental Settings hidden? These are experimental Settings, and Only developers use it for experiments in Chrome Browser. Modify or Change these settings without know about them, may lead your Chrome web Browser towards errors, and it makes your system crash. And not every regular user can understand these Settings. That’s why these settings were hidden, but Don’t worry you can access these Settings. How to Access Chrome Hidden Settings and Make Chrome Faster? Change Tiles Size and Increase RAM. The First experimental feature that we are going to Change is Tiles Size. If you have Enough RAM and Still Chrome working Slowly. Then Increase RAM size for Chrome, to do that Press Hotkeys Ctrl+F in Chrome Experimental Page (Chrome://flags) and then search for Maximum Tiles / Tile. Set Maximum Tiles 512, If you are unable to find this option then Search Only For Tiles. 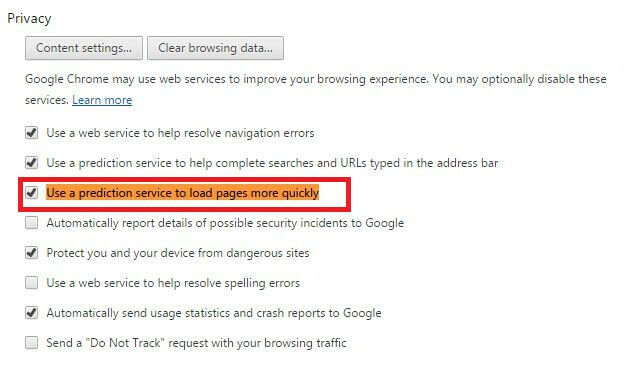 If you are facing Slow Image loading in Chrome Browser, Then this feature will help you in Load Faster. In Experimental Page search for Raster Thread and set Raster Size to 4. Sometimes only text loads and image don’t then by changing Raster size we can make image load faster. This Experimental Feature Allows Chrome to Utilize opaque canvases to Increase Loading Time. 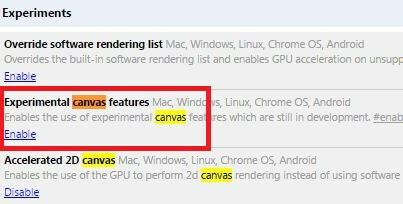 Search for “Enable Experimental Canvas” and then Enable it. Enable Touch Events – Increase Chrome Performance in Touch Devices. This Experimental feature will make your scrolling experience better. Sometimes when you scroll long pages, scrolling stuck at some point. But by enabling it scroll will work smoothly. To Enable it searches for Smooth Scrolling and then Enables it. What is Extensions in Chrome? Extensions are small Chrome Programmes that Helps us in do More thing. For Example Chrome Remote Desktop allows users to Control Desktop using Mobile. You can download Extensions using Chrome Web Store. But Installing many Extensions will make your Chrome Browser Slower. Sometimes some third Party Programme Install there Extensions without our Permission. That’s why Removing Unwanted Extensions is the Better Option to Make Chrome Faster. How to Remove Extensions in Chrome? First, In Address/URL Bar type “chrome://extensions/” And then PRESS ENTER, or you can access Installed Extensions by Click on three Dots Right SideBar then go to More tools > Extensions. Now a Popup will occur and it will ask you to Confirm your Extension Uninstall Process. 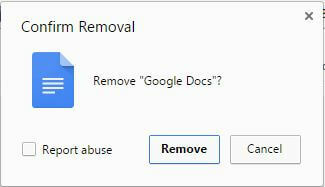 Click on Remove. By Using these steps you can Easily Uninstall Unwanted chrome Extensions and Make Chrome Faster. Disable Unwanted Plugins in Chrome. What is Plugins in Chrome? How to Disable Unwanted Plugins in Chrome? To access Installed Plugins in address Bar Type chrome://plugins/ and then Press ENTER. Now you can see all Installed Plug-Ins. Check Unwanted Plugins and Click on Disable Button. Page Prefetch will allow you to Load WebPage Faster. Basically its Cache your visited Webpage and Preload the Link that you might Open. How to Turn on Page Prefetch in Chrome? Done now your Visited Webpage will Load Faster. Delete Cache and Old Prefetch Data to Make Chrome Faster. When you visit on a web Page Chrome store Data of that Page like Images to open page faster when you next time open it. But If you are using low Specification computer then this thing will make chrome browser slower. To Make Chrome Faster Delete all Cache Data to do that, Access Chrome Settings (type chrome://settings/ in address Bar) then Press ENTER. 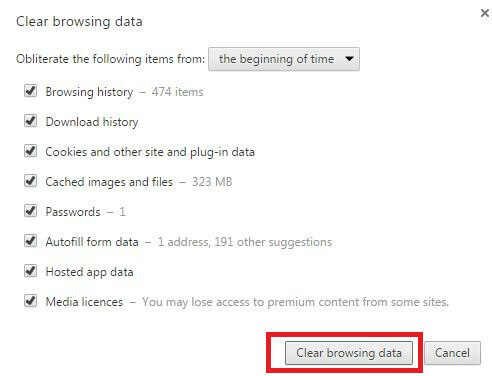 Now you can Find Clear Browsing Data option in Privacy Section, Click on it. Now mark all points and then click on clear browsing data. Done, It will Delete your all Cache, as you can see in above screenshot cache image size is 323MB. If you also want to delete your Old Prefetch Data then my suggestion Install Ccleaner software in your computer and you can Delete Old Prefetch Data Easily. You can Find this Small Software Easily on Google. There are Still many ways or we can say method available like “Update Chrome to it’s Latest Version“, “close unwanted tabs to Free some RAM“. But by doing all things that I wrote in this article will Make Chrome Faster. If Still any things left that can speed up chrome then you can comment I will add in this Article. 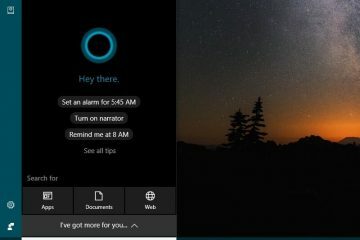 How to Fix Windows 10 Search Not Working – Fix Cortana. How to Fix WiFi connected but no internet Access. 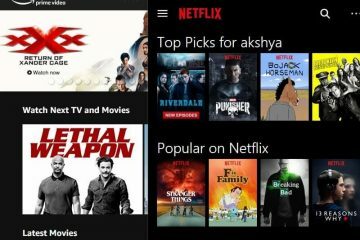 Netflix vs Amazon Prime – Which video streaming service is Better?. 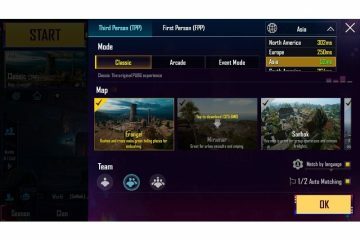 Fix PUBG Mobile high ping problem – Reduce Ping. 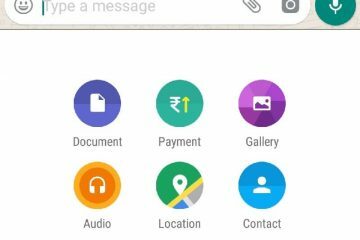 Get Payment Option in WhatsApp – Add Bank Account & Send Money. Multiple Ways to post to Instagram from PC – Windows, macOS.